Do you need to have office removals out of normal working hours? Yet, you only have limited access requirements to complete it? Worry no more because Business Relocation Services can help you with that! 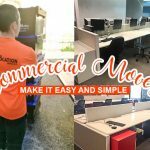 We can make go the extra mile when it comes to office removals. And we have a reliable team who can handle such task in order to help you maintain business operation. As a matter of fact, we have a huge number of trucks that can transport any of your items. We also have advanced equipment that will do the heavy lifting for you. Aside from that, we also provide convenience in many ways! 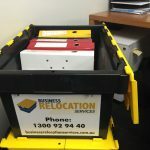 Business Relocation Services has a professional staff that can pack, install and disconnect IT stuff and relocate books for library relocation. Our team of experts are fully-trained in any types of move you need. And for office removals, careful approach is necessary. Especially with the server relocation which considers as sensitive in so many areas. That’s why, before we let our people do it for you, we guaranty first that they are ready and know what they are doing. Business Relocation Services has other business partners that can benefit you as well when you hire us for your office removals. We can provide you trustworthy depot company where you can rent and store your office supplies or items while you are having a move. Also, our team attends to your different relocation demands to manage and achieve project objectives. Also, we will focus on the main issues and will do the planning on how to resolve it. So, you no longer have to worry and deal with so much stress when you are having office removals after working hours. Understand the project and identify all tasks needed for an efficient move. Overall site meetings and briefing sessions. Tenancy, keys and swipe card access. IT special requirement and timelines disconnection and reconnection process. Proper packing or security packing requirements confirmed. Establishing guidelines for moving documentation and communication. Booking and managing special relocation services. Team meeting and task briefing. Specialist packing and IT team briefing sessions. Delivery and placement at a new site. Guidance to job and site removals. Debrief Report and sign off. If you think you need more assistance from us, we can provide you with our moving experts to guide you with the entire process. As mentioned, we have excellent people on our side who can deliver high-quality services in any kinds of move. Whether it’s a local, interstate, long distance, small or big move, we’ve got your back! Just let us know what are your moving needs and we will do our best attend to it and make sure to give you the right solution you deserved. Being in this business for a long time makes us aware of the pros and cons of relocation. However, we know how to manage any circumstances since it’s a matter of trial and error process. That’s why we let you, our clients, know and understand what are the possible things that might happen once the process takes place. And a careful approach is what we do to guaranty that you will have a good moving experience soon. Business Relocation Services has been in the moving business for over 40 years and already earned massive experiences in dealing with various types of move. So, what are you waiting for? Call us today for more inquiries about our services. Feel free to visit as well our blog section for more awesome tips and hacks that you might find helpful for your move. You can also leave us comments and suggestions about our services and see to it that we will deal with it with a positive attitude.